PDF-XChange Editor (former PDF-XChange Viewer) is a powerful PDF Editor, designed for anyone from home users to large corporate environments. PDF-XChange Editor is one of the most popular alternatives to Adobe´s Acrobat Reader. PDF-XChange Editor is a simple tool to edit your PDF documents. 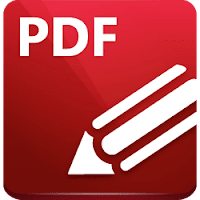 It features full page content editing, PDFRichEdit for RTF support, spell Checker, listen/add audio to PDF pages, selection servers, add application Preferences and Presets options, and Bates numbering. The editor also includes advance features like OCR options, additional Annotation options, abstract file system, and third Party Security Handlers Plug-ins. PDF-XChange Editor Plus includes all the features of the standard Editor plus a newly designed Fillable Forms Designer/Editor. It also provides the ability to Create Dynamic Stamps using the features of the new Forms designer. Disclaimer: Direct downloads for the lastest version of PDF-XChange Editor 6.0.320.1 are provided by the official software's author, we can't guarantee safety, availability or download speed. Moreover, we don't and we won't provide any pirated/illegal versions or tools. We recommend you to avoid it as these methods can harm your device. If you like the software, buy it to support the developers. (We provide software discounts for many worldwide brands).